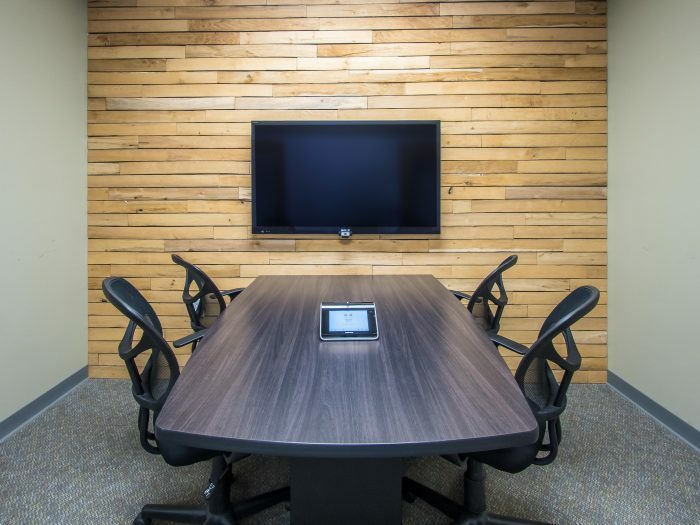 As open concept offices take off, one thing that gives rise to is the increased need for small huddle rooms and conference spaces where groups can meet without disrupting the entire office. Are there worthy competitors? Sure, like anything else, there are going to be other products that fit the bill for your meeting room needs, but I’ll lay out some of the reasons why we’re really liking the Mercury in our office and why it can be a real workhorse for you that removes a lot of potential issues when it comes to scheduling time in the room, connecting with users who aren’t physically there, and conferencing. To give you a general overview of the product, the Mercury comes in three models and price points. This entry level model is an audio only console, but it is still packed with features. 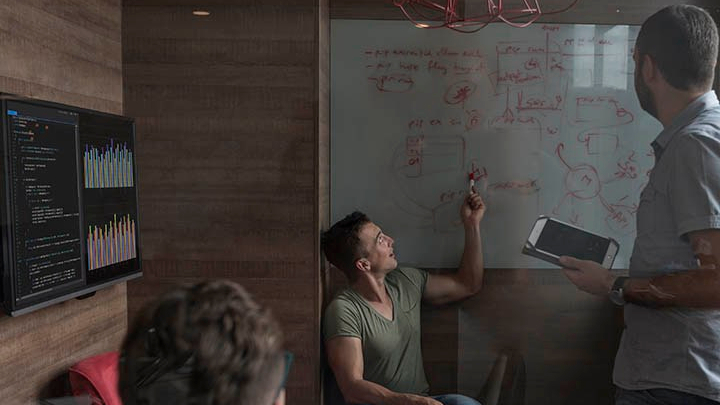 This option is great if video capabilities are unnecessary or if you’ve already implemented another solution for your video conferencing needs, since it is compatible with platforms such as Skype, Zoom Room, and others. The large touchscreen allows you to use your directory easily with one touch dialing, and it can be paired with any mobile phone using Bluetooth technology. Using Bluetooth, you can easily add callers to a call already in progress with no disruption. The large color touchscreen is also incredibly user friendly when it comes to standard functions like muting or controlling volume. The sound quality is great because it uses a 360 degree microphone that allows you to be heard clearly from any spot in the room. 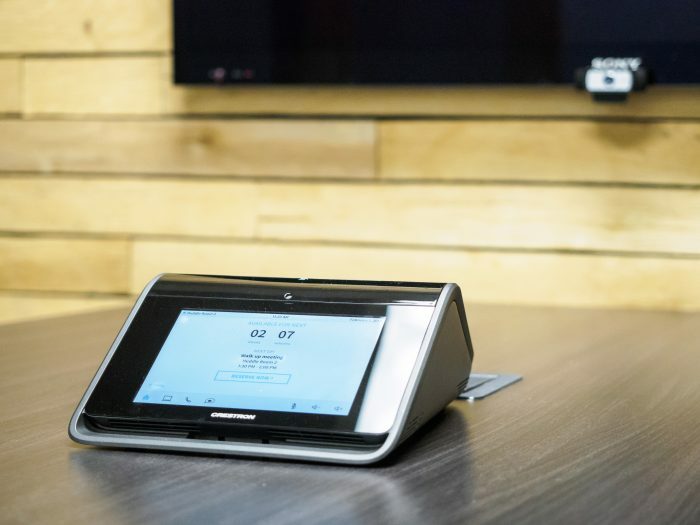 The sound quality also comes in handy if you want to use the console to record your meeting for future use, perhaps for those who missed the meeting, or to be able to refer back to later so you don’t have to spend your time taking notes during the meeting. Another cool feature is occupancy detection. Any device that senses motion or sound to power up or down can really contribute to the energy efficiency of the room in the long run. Since this console really serves as the hub of the room, it’s a great addition to the unit. The next step up in the Mercury line retains all the features of the CCS-UC-1 W/PS, but it goes a step further and adds video conferencing with an HD camera. One really great feature is that this console also has Crestron’s Airmedia built in. You can find Clay’s comparison of the Airmedia here. This addition really allows you to step up your presentation game and deliver High Definition, 1080p quality video to the room. Like the CCS-UC-1 W/PS, this model allows you to connect a laptop via USB, but the added video capabilities really expand what you can do with your laptop connected to the console. 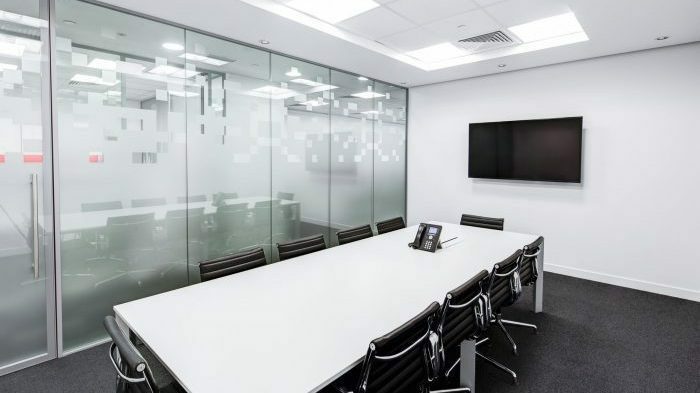 The Plus version of the CCS-UC-1-AV W/PS again retains all the features of the other two units but adds an ultra wide angle camera, which is particularly great if you’re placing it in a very small meeting room. 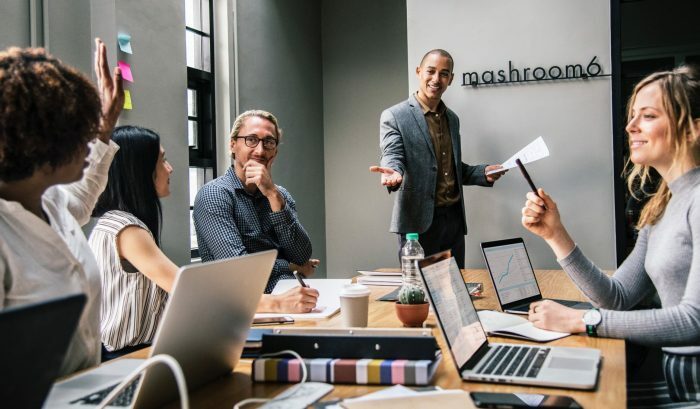 You’d be able to easily capture everyone and not worry that anyone might get cut off should they move around the room during a presentation. We’re currently using the CCS-UC-1-AV W/PS in our office, and it really suits our needs. I think you can see why the features I’ve laid out come in handy. 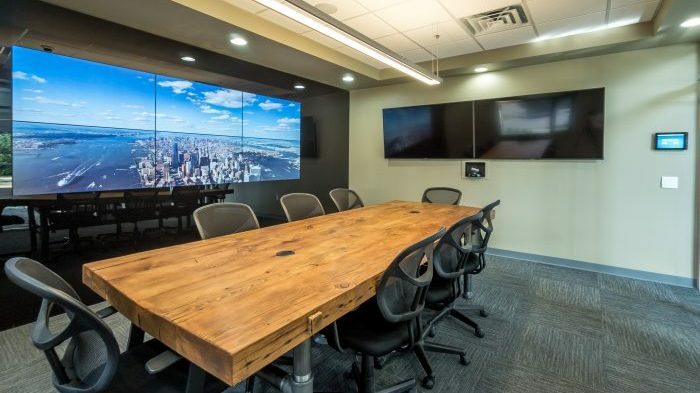 It’s impressive when we utilize it when hosting clients in a meeting space, and it’s highly functional and easy to use for our internal meetings. That’s why we’re calling the Crestron Mercury our Best in Class product for meetings.